The Courtown Amusement Centre guarantees a fun day out for all the family. Features include slides, swingboats, kiddie rides, waltzers, a carousel as well as a number of electronic amusements. Stayed in Seafield for 3 nights with my Mum at the beginning of December. Lovely time to stay as decorated for Christmas and cosy fire lighting in reception. Beach 5 mins walk. Staff in hotel all very courteous and friendly. Breakfast- great choice of fresh food. Dining room spotless as was the rest of the hotel. Spa amazing. Loved the candlelight environment which is well suited to those of us with pale skins. Never over packed and was attended to at all times by a member of staff. Fluffy towels, robes and an abundance of nice toiletries available at the Spa and in the hotel room. Renovations ongoing at rear of Spa but was not bothered once by noise. Rooms simply decorated, bathroom lovely, clean and spacious. Love ❤ this hotel. Staff are very helpful and the spa is very relaxing. Will go again as it is so near Dublin. Stayed for 3 nights for our son's wedding. A fabulous venue! Rooms excellent. Food was wonderful, from breakfast to dinner in restaurant to bar food and not least of all the wedding banquet. Presentation of food , quality, variety all top class. The spa area has only gotten better if such is possible since our first visit here 5 years ago. Love the outdoor jacussi. The staff in all areas from reception through to housekeeping very friendly and accommodating. Highly recommend Seafield for short breaks, wedding venue, and excuse to get away. Also lovely golf course even though we didn't get to play golf this visit. I had been looking forward to staying in Seafield for a while as I had heard some very good reports from friends and family members. We stayed for 2 nights and although it is a nice hotel we found a lot of problems with it. On check in we were asked if we would like a newspaper each morning delivered to the room. I said yes as I thought this was a nice touch but we never received this on any morning. The first night we had dinner in the bar. There was a queue of 20 minutes to get a table with everyone lined up by the door. The bar hasn't enough capacity to deal with the demand. I found it interesting that the italian was closed which could have taken pressure off the bar. The restaurant was also half empty and I would suggest using it as an overflow area to serve bar food if needed in busy times as they interconnect. Eventually we were shown to a table which was dirty. The waiter cleaned it infront of us and wiped the crumbs onto the floor and chair that I was to sit in. I would suggest cleaning the table before seating guests. The food itself was nice and also the staff. One comment is that we were not shown a wine list. Simple way to upsell wine is being overlooked. Breakfast also incurred a wait. We were asked if we would sit in the bar which we said yes. We were told to sit on any table. Every table was dirty with cups & plates. We had to move stuff onto another table. There was nobody clearing tables. We had to ask for tea. When the tea came they didn't bring milk. I had to go back up and ask for this. This happened on both mornings. This could be easily avoided if tables were set with milk jugs. On the 2nd night we had dinner in the Italian in the golf club. Food was reasonable & big portions. Dessert menu very limited though. This is the only place I had an issue with in relation to staff. The waitress was disinterested and didn't make any attempt to be upbeat or talkative. On checkout we were given the bill. I noticed the room price was wrong. I mentioned this to the receptionist. She checked my details and seen that I was being overcharged by 125e. She reprinted the bill and asked "is this more reasonable for you?". I don't think this comment was appropriate as I was paying the price I booked on. At checkout there were two ladies either side of me. One had been charged for a dinner that should have been included in her package and the other was making a complaint about service standards. Overall I was disappointed with my stay. I had a high expectation of the hotel but there seemed to be a lot of service issues. I wouldn't be enticed to go back. Also the fact we stayed midweek and the hotel couldn't cope would definitely not make me consider a weekend break here. On the plus side the spa is very good & staff in the spa area are lovely. The spa saves this hotel as without it you could find a much better hotel. Seafield Golf & Spa Hotel have 5 stars. These are deserving for such a beautiful hotel with the most amazing staff. There was nothing about our visit that indicated that they are anything other than a 5 star venue. Congratulations and best wishes to all on this achievement. The hotel itself is lovely,lovely location but it could do with a good clean! Windows and mirrors were filthy throughout hotel.Felt carpets in corridors and room could do with a good clean,a bit stale smelling! Lighting in corridors way too dimly lit! My mother described it like going into a dungeon!! I would not rate it highly for a four star hotel. I have stayed in alot of hotels around Ireland and the world,and I would definitely not rate this one very highly. I told the receptionist that they need to put up some signage for the hotel in the town centre, not good enough just having it signposted off the motorway. Not everyone will be accessing it from the motorway. However,the staff were very friendly and nice! So if it got a good clean up it would be fine! Thoroughly enjoyed my stay in the Seafield hotel. The rooms are comfortable, the food is good, the staff are pleasant but the icing on the cake Is the spa which is superb. Great location, fantastic spa, good food, rooms are getting to the stage where they could do with a makeover and house keeping needs to pay more attention to cobwebs..
Great sea side location; we had a room with sea view. Room was spacious and clean and the double bed was king size. Room lacked mini bar. Bathroom had very bad ventilation, something you wouldn't expect in a 4 star hotel. Staff were friendly and attentive. We were not impressed with the imposing black interior decoration of walls and ceilings in lobby and bar. We had lunch and dinner in the hotel bar; the food was reasonably priced and good. For a surcharge of €10 we got a very decent breakfast served in our room together with a complimentary newspaper. All in all our stay was value for money. We had a lovely time at this hotel but just had 1 down side to it we were over the smoking area and it was very loud at night. The food in the restaurant was fab and we dined in the bar also it was out of this world.. This hotel offers 1st class accommodation . The spa facilities are superb . The dining room and bar food are of a high standard . Finally a beautiful walk to the beach is a must . It is a beautiful hotel situated in a scenic location. My friend and I thoroughly enjoyed our stay. We stayed 2 nights in Seafield last week and unfortunately we were disappointed with our stay. The hotel is in need of some attention and the staff are not the best. The receptionist on check in was friendly but the rest of the staff were not the best. I called the hotel the day before we arrived and asked if they had DVD players, I was told they would have one put in our room. When we arrived at the hotel and checked in there was no DVD player. The receptionist told us the DVD players were not compatible with the TV's! This was a little annoying considering I had called to check! The food is quite basic and overpriced, drinks are also very expensive. I'm afraid I would not recommend this hotel. The only good thing was we did get a good deal on this site, I would have been very annoyed if I paid the rates they were charging on the hotel website. The spa facilities are very good, that is about the only positive. Also if you like golf the course looks good! Very relaxing break, a real slow pace and chilled out. Lovely room and hotel. Not much to do around the grounds or local town, but 15mins in a car can take us to other day trips around. Staff are really helpful and friendly. The beach is stunning and the spa is one of the best I've ever been to. Only thing was the rooms were roasting! Having said that, overall I loved my stay here. Stayed here for one night last week, gorgeous relaxing hotel. Walk to the beach is lovely and just a short stroll. Dinner was amazing and breakfast was gorgeous also. Infinity pool is nice and relaxing. Staff very nice. Will definitely go back again. Only negative is price for drinks is very expensive but I guess probably standard for a 4 star hotel. It was €5.90 for a pint of Carlsberg. Seafield was fab. Staff, room, food and spa were all lovely. Amazing hotel! Have been there 2 times before and always had a great experience. Last time wasn´t different. 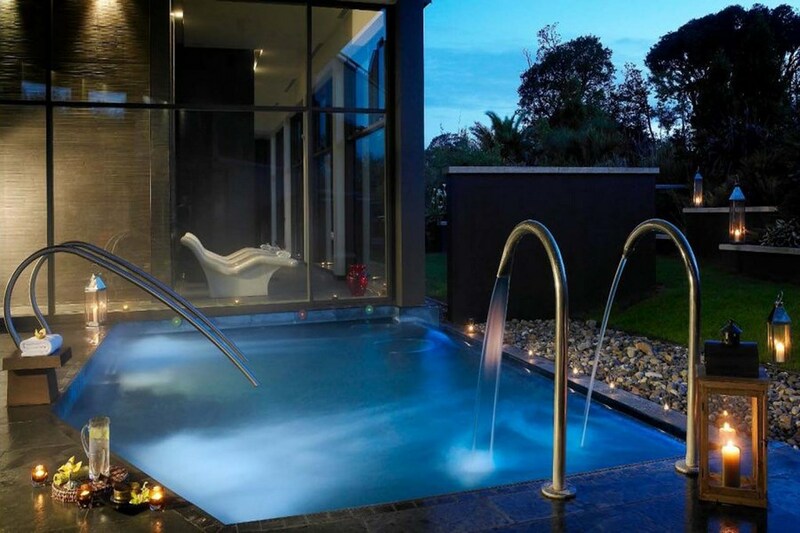 The Oceo Spa is amazing - from the treatments to the outdoor Jacuzzi. Try have dinner in the Golf Club House. 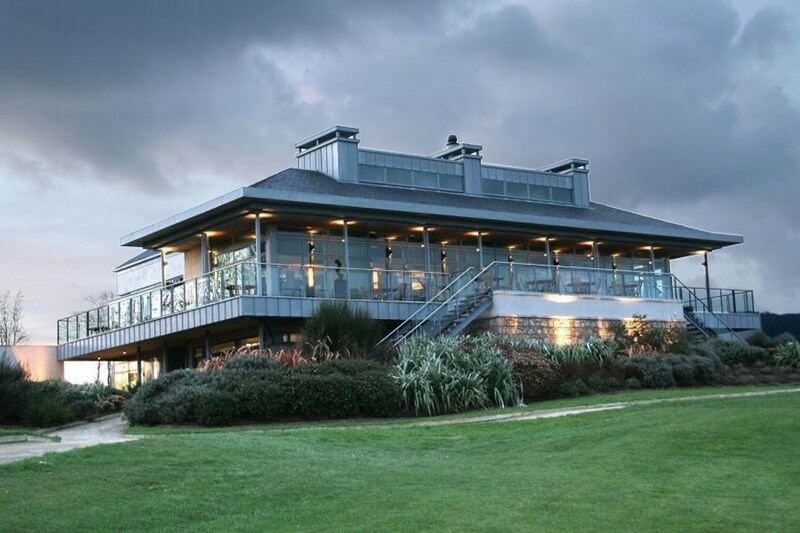 If the weather is good get a table on the terrace overlooking the golf course and the beach!!! Had the most amazing 3 days here. Everything from start to finish was just perfect. The decor, the ambience, the room, the thermal suite, the spa, the views, the food, the background music throughout the hotel, the walk to the beach and the staff. All fantastic. I'm not a great sleeper but I had the best sleep I've had in years because everything about the hotel is relaxing and helps you switch off. Second time here and will definitely return! The best hotel and facilities that I've stayed in in Ireland Thanks a million!! My friend and I thoroughly enjoyed our stay in the Seafield Hotel. 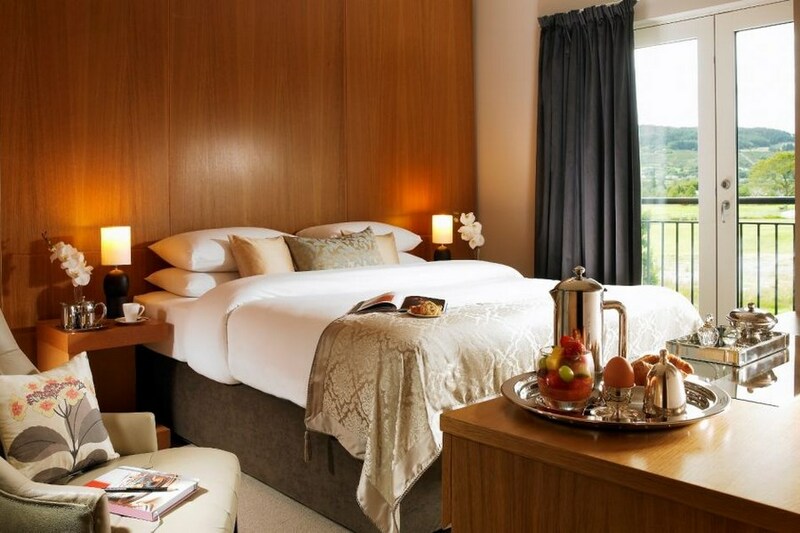 The twin room was bright and airy, with a large window, that gave us a panoramic view of the golf course and the sea. The breakfast menu was extensive, varied and very fresh, second only to the wonderful meal we had in the restaurant that evening. A gastronimic delight of intense flavours, reminding us of some great meals we had in France over the years. However the 'piece de resistance' of the hotel was the Oceo Spa. One of the most relaxing and calming spas I have ever been to. We both had treatments, that were of a very high standard, carried out by lovely friendly staff. I will definitely be returning to the Seafield Hotel in the near future. Rosaleen O'Connor. Stayed for a three nights on Feb17th. Had a fantastic time great place to chill and relax. Room was good could have done with a bit of a repaint , bed really comfortable and huge. Breakfast was great with large selection of fruits, cheese , bread , salmon, cold meats along with the full Irish. The spa is just lovely and had treatments which were fantastic. The staff are excellent particularly Maria at breakfast thank you for your great service. Would totally recommend staying here great place for couples to unwind. Had a lovely nights stay at the Seafield. Wish it could have been longer. The spa is amazing and the hotel is lovely. Staff are extremly friendly and helpful and the breakdast was gorgeous. Cant wait to go back again. had a very enjoyable stay here recently, the staff were exceptionally helpful and pleasant. We had a delicious dinner with friends in the restaurant and were also impressed with the breakfast offered. Lovely location and hotel, staff were very friendly and extremely helpful. My girlfriend and i booked into the Seafield hotel on tuesday 7th may for one night. The hotel itself is beautiful and spotless clean, the room was everything we had hoped for and all the staff were super friendly. We both had some very nice reasonably priced food followed by a few drinks in the bar that evening.The bar was comfortable and friendly any not too busy being midweek. The next morning we had a swim and sauna in the hotel's excellent facilities, i even had a light workout in the gym. This was followed by a breakfast that could feed an elephant. We couldn't believe the value we were getting! Just before booking out we took a short walk down to the Ballymoney beach, we were the only people there and it was a perfect ending. I would definately recommend it and we are definately going back for a longer stay. Really lovely hotel with a great spa. Staff are very friendly. Food in the bar was a little below the standard expected on the night we had dinner . Situated just a short walk from the beach. I would definitely recommend this hotel. Excellent hotel. Facilities first class, and hotel staff extremely friendly and helpfull. Will certainly pay a return visit. Rita, Co. Laois. I give this Hotel five stars. We booked for a night away on the 18th but due to unforseen circumstances we asked to change to an earlier. It was absolutely no problem for you. For which we Thank You. The Spa was extremely enjoyable. the Bar ford and the Breakfast was top class. We are looking forward to having some more breaks, with family, soon. Our second stay over last few weeks and looking forward to another ASAP. Value for money cannot be beaten and the facilities are wonderful. Hotel staff are professional and pleasant. The Spa is second to none. Hotel food is very good. Rooms are spacious and modern. Not gollfers but the course is in a very picturesque location and the club-house looks great. A visit to nearby Gorey is a must. The Seafileld Hotel Spa and Golf Resort in Ballymoney, Co. Wexford is fantastic. I couldn't find one fault in it at all. The Spa.The Staff, Food, Facilities, Bedrooms, Location, grounds. Everything about it was amazing. I'd recommend it to everyone. The staff couldn't do enough for you. You have everything. It has something for everyone. I have to say the SPA is absoutely amazing. One of the best i've ever been too and the staff are so friendly and so professional. Big 5 Star from me. “Regrettably Average” I really thought this hotel would blow every other hotel we had ever stayed in out of the water but regrettably I was so wrong. My partner and I recently stayed here and had a very mixed experience. Booking the hotel we read the reports and wanting something special decided to book this hotel. The staff at the hotel were extremely helpful. There is only WIFI in the reception area which isn't stated on the website, and it is extremely hard to connect to. The sofa's in the reception area are in need of recovering as they are frayed and torn. We were booked into a room on the first floor 109. The bathroom was as others have described, really lovely with great attention to detail in design however there were loose screws on the floor and on entering the shower the silver plug cover popped out revealing horrid dirt built up and there were also hairs in the bath tub. The net curtains in the bedroom were "dragged" and frayed in places and the tv didn't work which led us being moved to another room on the floor 106. This room was identical to the previous room. The bathroom was cleaner, however, under the sink a socket was hanging from the wall with wires exposed. Again in this room the net curtains were in need of repair or replacement and whilst the tv did work there were only a few channels which was a disappointment, the hotel didn't even have RTE 2. I found the bed extremely hard and did toss and turn alot. The room was very warm even with the two windows open. There was no sheet on the bed just a duvet. There was also a rusty stain on the carpet under the heater by the bed. I was awoken on our first morning extremely early by the sound of loud lawn mowers outside the windows cutting the grass on the golf greens, this was a daily occurrence and as a result the greens are immaculate but if your not playing golf and want a relaxing sleep in, forget about it. The breakfast is varied with something for everyone, however I was disappointed by the dinner menus having to leave the restaurant as there was only one vegetarian dish, risotto. The spa at this hotel was the highlight. Though we hadn't booked the hotel because of the golf or spa, without the spa and the ever so helpful staff this hotel would have been a let down. If you are after a spa break do consider this hotel. Would I return to the Seafield hotel, I wouldn't rush back that's for sure. Improvements needed: TV's need tuning and additional stations, WIFI needs to be in the rooms to allow peaceful working as concentration in a busy reception doesn't allow for this. Beds should have sheets in addition to duvets. Extra attention to cleaning such as removal of hairs in baths etc. Stayed at this hotel for 2 nights recently.. getting there was very easy well sign posted... first impression of hotel amazing... rooms lovely and spotlessly clean ..loved the bathroom... we ate in the restaurant on first night food was delicious service was great but my only complaint is that the service was very very slow... We ate in the bar second night and the service was extremely slow .. the staff were very pleasant and polite.. The spa was fab.. allin all had a lovely break and will be back..
lovely hotel facilities superb, really loved the spa. had dinner in bar area on sunday night service extremely slow took from 7 to 10 pm for 2 courses otherwise food faultless and I will definitely be back very soon. really enjoyed our stay here, very relaxing, staff and food were great. lovely walk to a beach. Our room was great with a big picture window overlooking the golf course. Asked for a bucket of ice for our white wine and they brought it up quickly with two wine glasses.Will definitly stay here again. WE LOVE THIS HOTEL THIS WAS OUR SECOND STAY IN THIS HOTEL AND AS A COUPLE WE ALWAYS FIND IT VERY COMFORTABLE AND RELAXING . EVERYTHING FROM THE LOCATION , STAFF ,FOOD AND THE EXCELLENT SPA AREA. WE HIGHLY RECOMMEND THIS HOTEL. Lovely hotel with very friendly staff. The bar food was fabulous, nice large portion. Breakfast was the best ever had. Rooms are very comfortable with a massive king size bed. This was our second visit to Seafield and it was very enjoyable. The staff were very helpful and the spa area is what really makes the stay extra special. We dined in the bar on both days of our visit and the food was excellent, the only negative comment we have was the time it took for our food to be served, the first day wasnt too bad, about 30mins but the second day it took over an hour! this happened the last time we were there as well which was over a year ago so things dont seem to have improved. there was also times when all the bar staff seemed to disappear and no one was serving. having said that we would definitely go back again as the overall experience was excellent. Dear Review team We stayed in a superb Hotel in Seafield Spa Resort Hotel in Ballymoney, near Gorey, Co Wexford. Our stay was excellent from start to finish. I would make one small point of criticism. When we went down for Breakfast (which was exquisite in it's quality), the staff serving in the dining room were not very friendly. This is important and the lack of cheery welcome in the morning took away slightly from our visit. We realise that the numbers coming to the Hotel are not as high as might be hoped, however , a friendly attitude can radiate positivity and feeling welcome and this is critical to making everybody's feeling about this wonderful Hotal and Resort a very positive and satisfied one. Many Thanks, the Hotel is a credit to its construction team and its designers. I loved this place so much , the service was excellent. we had tripletreatments at the spa and the girls were so professional. we had a meal in the bar and it was gorgeous. i would definetly stay here again. i was so pleased with the price too. excellent love it. claire. Beautful seting, excellent value, restaurant very good, as for the spa the best I've experienced, no kids in the spa or pool area, suited us as ours were at home! the beach walk and proximity made it a five star break for me. We stayed two nights bed & breakfast at the seafield, and i have to say this is a Gem of a Hotel. From my first moment at check in I was made to feel very welcome. The bedrooms are very nicely equiped the bathroom lovely and very spacious. Beds are so comfy had a great nights sleep although overall rooms are slightly too warm but that was minor. The breakfast was superb, very good selection of juices, fresh fruit, cold meats, cereals, and constantly checked and topped up. Cooked breakfast was also delicious. The Bar food menu was very good which we are for both nights was also delicious the food was very much above average here and you would'nt want to go into nearby Gorey for food as it was so good here. The Hotel has a very relaxed atmosphere and you can really unwind here. The spa is a must. The staff in all Departments of this hotel are very professional, and go that bit extra to ensure you enjoy your stay. I must say a bit thank you to every one there as we had a really lovely stay, and I would certainly recommend here for a quiet get away break. We go to the Seafield as often as we can and really enjoy the quiet and relaxation it has to offer. It is in an excellent location with a nice little walk to the beach. We love the spa,the pool etc especially outdoors. The food is always great in the bar,really enjoyed it but breakfast is a bit hit and miss but overall a wonderful place to stay at realistic prices.